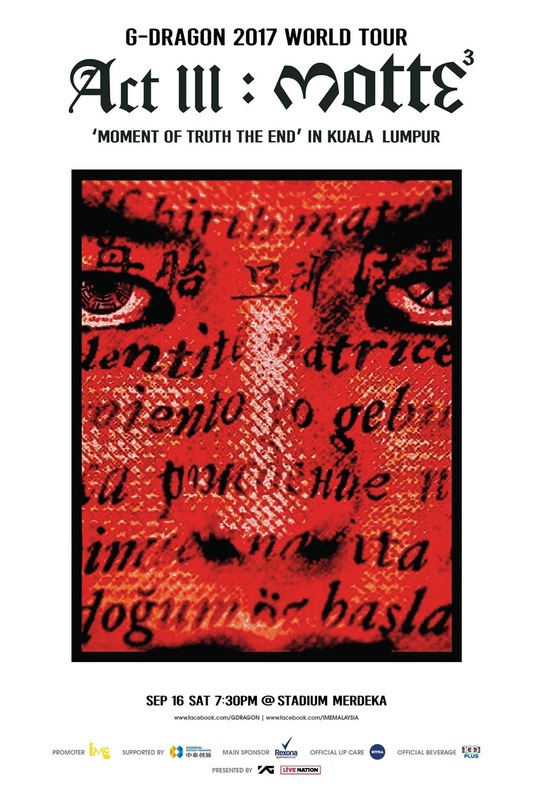 G-Dragon is set to touring the world right after his solo concert in Seoul and great news to Malaysian V.I.Ps as Kuala Lumpur is in the list of his 3rd world tour concert, ACT III, M.O.T.T.E (Moment of Truth The End). Bought to you by IME Malaysia, G-Dragon 2017 WORLD TOUR <ACTIII, M.O.T.T.E> in Malaysia will take place on 16 September 2017 (Saturday) at 7.30pm, Stadium Merdeka. Turn on the GD mood and get ready to experience the swag performances by BIGBANG's leader, G-Dragon!